There is a divide between people of different races, incomes and social class. Recognition of a difference does not have to come with an assumption that because someone is different they are then not equal. At some point we must be willing to celebrate differences while understanding we are all equal... not better than or less than. The US is rich in culture as the result of so many coming together... not to meld into one culture but to appreciate what the differences add to our American experience. 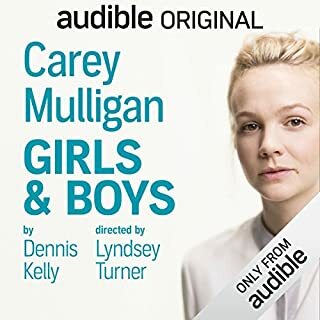 I see this as a YA novel given the narrator is a teen. The performance is amazing. Enjoy creativity...is it a play... a short story? First of all, the performance is wonderful. I often felt that I was in a phone conversation with a friend who would occasionally be interrupted by her children. Eventually, I settled down into the rhythm of the story as a monologue told somewhat dispassionately in spite of the horror eventually conveyed. The storyteller shares (and I'm paraphrasing): "as you listen, realize this is not happening now, nor is it happening to you...” Is this statement meant to calm the listener or to set them on edge? Also noteworthy, is that this story is timely, given the #me too movement and it invokes a certain amount of introspection. How well do we really know another person, even a spouse? It is easy to dismiss threats from people you think you know. Bravo to the author for the creativity, the writing and the choice of performer. Bourdain was a non-conformist, a maverick and wanted you to know it. He had a love/hate relationship with his chosen profession, but never seriously tried to leave it. Was it an addiction? He definitely had strong opinions and shared them freely. I learned a lot about restaurateurs, cooks, servers, suppliers and food. For example, I will never order or eat swordfish. He openly shared his life and stories about his profession, some of which are a bit shocking, with no pretense. The fact that he also performed the book was a treat. 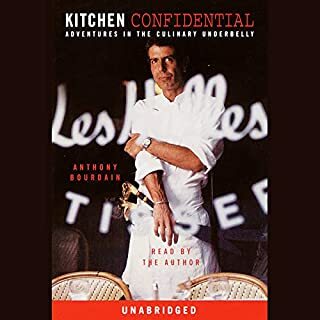 He has a unique voice and style that brings the book alive and puts the listener in the kitchen with him. The book and his performance were both more poignant not just because he is no longer here, but because he took his own life. It seems to me he could best be described as a stoic. See if you agree. The AI device weaving through the story added Spock like levity but somehow cheapened the impact. We aren’t quite there with AI and I’m not sure we know how/if humans will interact with it. I did appreciate the optimism of the singularity, although intellectuals have given warnings about AI in particular. Brown clearly favors science yet has a strong fascination for religion. 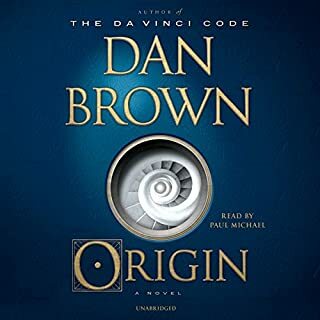 I wouldn’t call this an anti-religion novel yet it strongly favors science, physics and computer science in particular. The poet William Blake is often referenced. Blake too, tried to reconcile reason and belief and lamented that without “dark religions” mankind would be better off. It’s important to understand his meaning. I think I do. If you believe creationism this book is not for you. If you are open, introspective and curious get the book. The device of present and past was cleverly done and one does not get confused within the story. 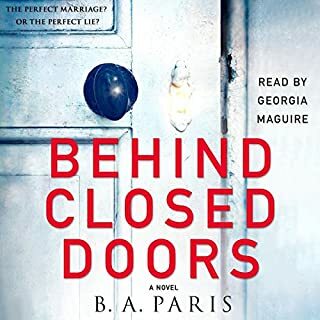 At the beginning of the listen, I thought I was about to hear a rendition of "The Stepford Wives", but the evil in this story was much darker. The song " He had it coming" from "Chicago" comes to mind now that I've completed the book. ...Clever plot, pretty good character development even though one wishes to slap the protagonist upside the head pretty often. The performance was awesome. Can listen to British accents forever especially Georgia's. A Dog's Purpose - which spent a year on the New York Times bestseller list – is heading to the big screen! 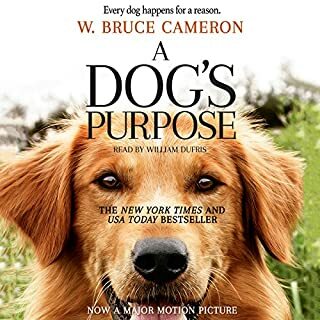 Based on the beloved best-selling novel by W. Bruce Cameron, A Dog's Purpose shares the soulful and surprising story of one devoted dog who finds the meaning of his own existence through the lives of the humans he teaches to laugh and love. You must love animals, especially dogs, to really appreciate this book. The authors premise is dog reincarnation with the dog retaining awareness of previous lives. It was difficult to get through the first few chapters which lays out the plight of homeless dogs, dog hoarding and animal cruelty. I almost scrapped the book, but hung in to learn 'a dogs purpose' and continuing the book was a worthwhile, though tear provoking journey. Fred Gipson who wrote Old Yeller would be proud that his legacy continues. I appreciated Cameron's ability to portray the experiences of life with humans through a dogs point of view. Well done. William Dufris' performance was/is perfection. He was able to balance emotional scenes with nonchalant humor. Great voice. 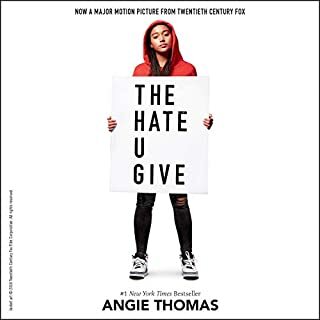 I have listened to this audiobook about 100 times and it still offers up true nuggets of wisdom. 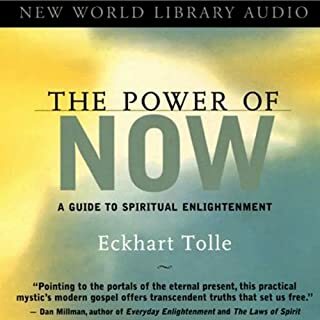 Eckhart's reading of his book is very meditative. Anyone who is on the spiritual path needs to listen to this book. Due to the popularity of the author I hung in to the end. I didn't find the characters to be well developed, nor the story believable or interesting. Wordy though the book was, the descriptions did not paint a picture. I just don't understand the popularity of this series. The gravitas of the performer was a poor match with the lack of depth in the story. I won't be spending credits for more of this authors work sorry to say as I would like to support female writers. 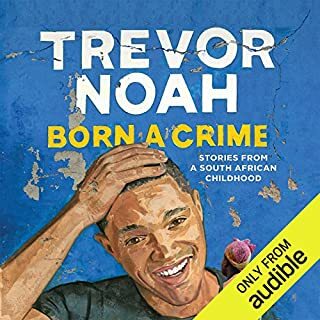 This book reveals Trevor Noah, warts and all. It’s hard to imagine that he left out any misdeeds or failed to expose his vulnerabilities. I feel that I really understand what makes him tick and the basis of his humor. As a bonus, I now have a deeper understanding of South Africa, its politics and the nature of its difficulties. As young as he is, what an amazing life Noah has had, thanks in large part to his mother: both for the good outcome and the difficulties he had to overcome. This work is really well written and Trevor’s performance adds to the experience of his life. 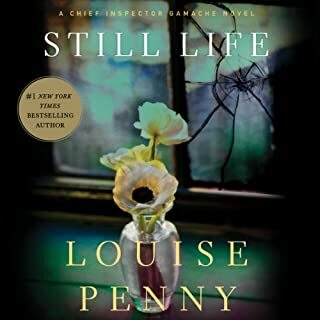 I loved this book and highly recommend it to folks who want either entertainment or are willing to see an examined life. Great job, Trevor! This book exposes the lives of many, if not most WASP (white Anglo-Saxon protestant) Americans, and to call it “Hillbilly” is misleading. I’ve lived this life, though as a woman growing up in a large southern city and in an earlier generation. 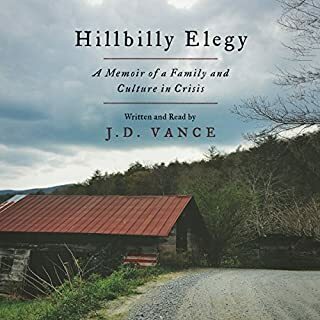 There is an underbelly of white America that folks don’t talk about and that Vance has exposed: Struggling families, children having children, drug addiction (alcohol included), misplaced anger, mental illness. Vance does admit that schools and teachers are not the problem with education and that schools and teachers are not the answer to what is lacking for children without stable families. I am reminded of the African saying and Hillary Clinton’s book: It Takes a Village (to raise a child). As I look deeper into these lives, I see: clannishness, lack of curiosity, inability to problem solve, lack of compassion, lack of self-refection and little to no appreciation of intellectual pursuits. I say this as one who was raised in a similar family and manner. What I strongly relate to is the presence of women who were the saviors. They kept the family together, solved problems, gave compassionate advice and assistance in spite of the disadvantage of being female in a misogynistic society. This book left me wondering what the point was of telling the story, given that it was light on examination and therefore possible solutions. What comes to mind is that Vance has his sights on a political goal. Get a law degree from a prestigious school, publish a book inoculating himself against exposure of a poor upbringing, get your name out there, run for political office….and maybe become president: A formula for success. I am in agreement with Socrates that “an unexamined life is not worth living”. My wish for this country is that we look for leadership from thoughtful, articulate, intellectual, strategic and compassionate humans who have enough self-doubt to examine behaviors before executing an emotionally charged and rash decision. Vance, you have work to do.